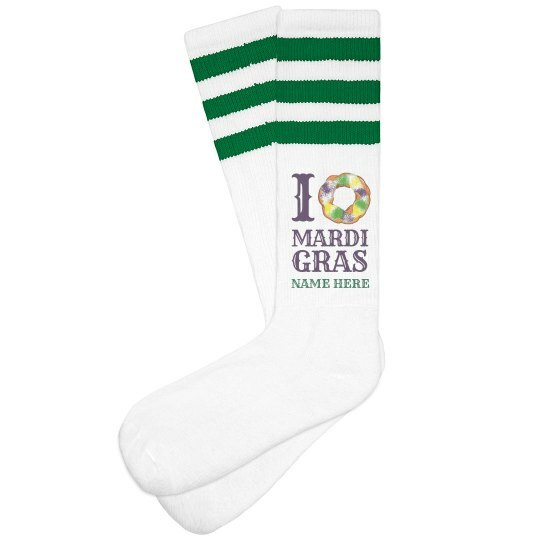 Customize these fun and sassy socks for Fat Tuesday! Add your name to the bottom to show your Mardi Gras spirit. Let your BFFs customize their own, and add them to you drinking team's uniform.